Foil is the ultimate barrier, and these bags are second to none. 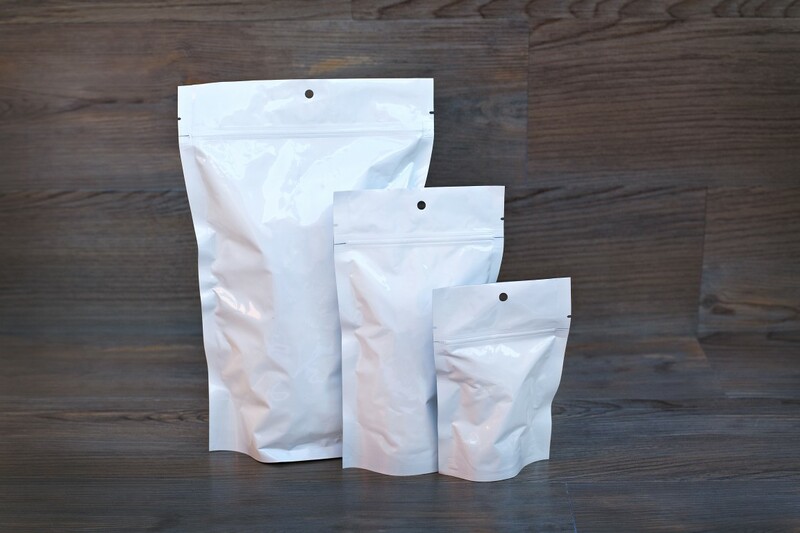 The combination of a nylon / mylar exterior with a foil interior means our white bags scream quality. BPA, TSE Sulfer & Pthalates free! Ultrawhite provides one of the highest barriers available. This five layer barrier is fully opaque using the same foil barrier as in our TrueFoil line, with a high nylon exterior for added strength. Ultrawhite also makes a great base for printed projects.